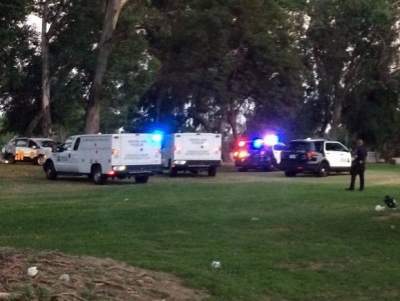 An unidentified man instigated a fight with several men at the Skate Park. According to witnesses the man appeared to be under the influence of drugs or alcohol. During the fight, one of the men, Adrian Hernandez,19, of Santa Ana, is suspected of retrieving a hammer from a backpack and striking the victim several times in the chest, knocking him to the ground, according to the O.C. Register. 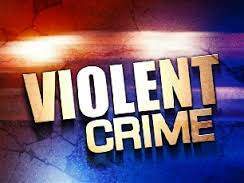 Witnesses said that another man struck the victim on the head multiple times with a skateboard, and a third man involved in the incident fled and remains at large. Hernandez was arrested and booked on suspicion of assault with a deadly weapon. All of this happened while families and kids were in the park. 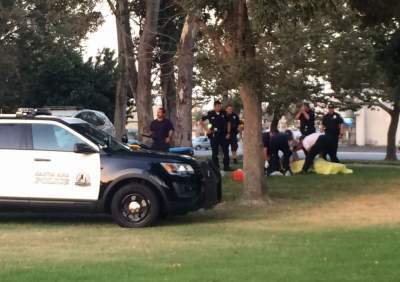 This is another violent incident at the skate park in Centennial Park which has no supervision. The Santa Ana City Council is currently holding up $2M in city funds for park projects because 1 city council member wants a new skate park on the other side of town. Before opening a new skate park we suggest the Santa Ana City Council go check out the existing one at Centennial Park! Anyone with information about this latest incident is asked to contact the Santa Ana police or the Orange County Crime Stoppers, at 1-855-TIP-OCCS or OCCrimestoppers.org. I don’t understand this website one bit. Is it meant to be a blog of sorts ? All the page does is give detail to the incident then give a sloppy opinion on whatever the case might be. Yes, typical news sites tend to have a bias, but the bias on this site is very apparent in the sloppiest way. It just shows a lack of professionalism. It is very clearly a blog. Check our About Us page. were Godinez parents even notified of these incidents? Falsified information, they were not skateboarders. You can not just use brash opinions and labels when it is such a heavy topic and incident such as this and you should rightfully tell what is true to the case. I was there as a witness and it is not fair to those that really skateboard at this park to be pooled in to the idealism that skateboarders are the bad guys. It’s unfair and unjust. Young teens hang out at the table outside of the skatepark, the only place with shade that is not on the ground on this entire side of the park, that is where they all drink because it is easy for them to flee the scene- which is exactly what happened with one of the guys who partook in the beating. Cops did not run after him they watched him half-jog across the street and then get away. Slow reaction and a sad event to witness. We heard from witnesses too and they said the man was beaten with skateboards. If the attackers were not skaters how is it that they were wielding skateboards? Yous stupid they took a board that was laying around and used it. This is completely true I witnessed the whole thing and this didn’t involve “skaters” it involved druggies and no life’s who hang out there. You can’t blame the incident on the skateboarders. I’ve been to that park on multiple different occasions where strung out gangsters or just violent people looking for a fight have wandered into the park to cause trouble. Sometimes throwing rocks at skaters while they try tricks or even sometimes just belligerently swinging at skaters at random trying to prove something. I’ve had someone try to rob me for my camera there and multiple friends have had their cars broken into/ gotten jumped on the walk home. It’s the neighborhood, it’s not the skateboarders. If anyone was getting hit with a board to the face at centennial skatepark its most likely in self defense. We are not blaming anything on anyone. All we reported is what we were told – a man picked a fight with skateboarders and they beat him up. So far the media has ignored this episode. If any charges come out of this perhaps the OCDA will put out a press release. I skate there and bring my nephews all the time… yeah it’s a lil rough around the area but the park isn’t half as dangerous as you make it seem. this is misinformation. get your facts straight. Centennial park has never been a great park to go for a stroll but It has an awesome skate park . The hoodlums in the benches are not skaters so kids stay vigilant. Say no to drugs! I saw the video, it is disturbing that the man was already on the floor and the individual keeps hitting him with skateboard on the face. Why not just walk away, man is down already. Seems like it was three agains one. Regardless it’s scary to witness something like this at a public park. I remember when Godinez H.S. was in the plans, members of the community asked if our students will be safe being so close to Centennial Park, the district said there will be no safer place in Santa Ana than there because of the presence of SAUSD police, Santiago College Security and Park Rangers. Not sure if that’s true or if it makes a difference having that many agencies with police/security available.